This configuration wizard only starts when the XCAPI configuration is called for the first time. You can add additional controllers / connections at any time in the XCAPI configuration. 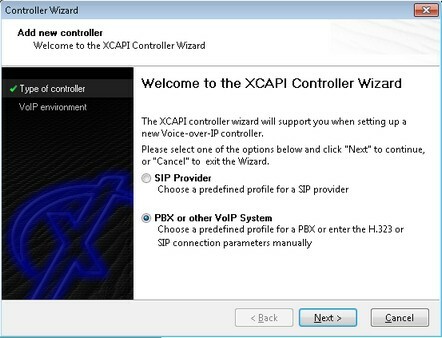 Specify whether you want to connect directly to a SIP provider or a PBX / gateway. möchten. In the next step, select your provider or your PBX / gateway. Depending on the connection, you must specify the IP address or the domain, as well as data for authentication in your telephone system / gateway or the provider. To finish the configuration you must save the settings !! After saving, close the configuration interface. 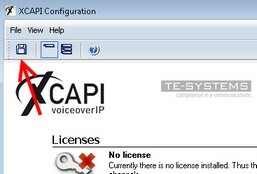 When you first set up, you must confirm the XCAPI configuration once in the ixi-UMS Business configuration and start the XCAPI testing.